Blendtec is well known as a maker of high end blenders for both home and commercial users. With their top of the line home blender, the Tom Dickson Extreme, coming in just a little over $1000.00, you know that they are serious about quality and performance. But, those on a more modest budget don’t miss out as there are a good number of options at a fraction of the cost of their top models. Currently the company is offering 10 models to pick from and each Blender model has their own qualities and benefits. We did a thorough review and listed the blenders below to help you make the best choice! What Makes Blendtec’s Blenders The #1 Choice For Many Homeowners? The company calls this “the world’s most advanced blender” and “world’s most intuitive blending machine”. Does it live up to these bold claims? We checked out a few of the hundreds of real customer comments and reviews, and noted the almost 100% positive response to this model. But more on that in a moment. This is a high end blender that comes at a price that will suit people who want a quality, long term investment that has been designed for usability, reliability, and intended as an appliance to be used often – in fact, it is described as becoming the most used appliance in the kitchen, due to the amount of tasks it is able to perform. The latter reason is why they’ve given it yet another glowing title: “The Swiss Army Knife of Blenders”. The Designer Series WildSide certainly has a lot to live up to! A bonus addition when purchasing the Designer series blender is a Fresh Blends Recipe book which provides inspiration for getting maximum use out of the blender from day one. 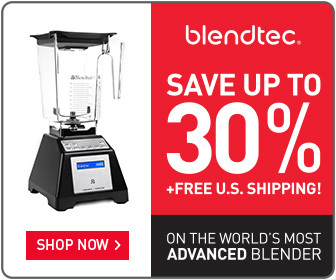 Blendtec’s 625 has everything you are looking for in a high-performance blender. With today’s modern kitchens the 625 comes with seven wonderful colors to match any kitchen décor. (black, pomegranate, chartreuse, sea foam, orchid, slate grey, & polar white). Looking for more ways to make like easier in the kitchen? The Blendtec 675 has advanced features giving you endless ideas for making your family healthy and quick meals. 3 colors are available (charcoal, champagne, & dark roast). Considered the world’s smartest blender the Blendtec 725 will impress all your friends and family during the fun and exciting events at your house. Many reviews have stated the Designer 725 is by far exceeding expectations in performance, quality, and design features. Two colors ( Stainless steel, Gunmetal). As the lowest cost Blender blender series, the Classic Series provides all the basics that allow you to have a commercial quality blender for under $400. As expected, you are able to create the usual blender favorites like smoothies, milk shakes, juices, soups, sauces and a lot more. 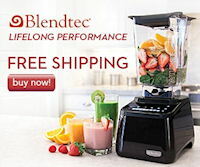 The large square Wildside jar is unique and Blendtec’s Classic Blender uses a four inch blade which is able to crush ice, whole foods and larger servings of food – something that less powerful and lesser quality machines tend to struggle with. The company states the Classic Series is able to replace up to nine individual kitchen appliances; saving considerable benchtop space in smaller kitchens. Durable and commercial grade quality built for the budget conscious individual. Designed to help you make nutritious meals with less effort. If you’re in the market for a high-performance blender but not willing to spend more than $350.00 on a new model this is where the Classic 560 will be perfect for you. This is indeed one of the best commercial grade blenders for versatility and power giving you endless opportunities in your kitchen. Blendtec’s 575 comes with preprogrammed cycles giving you results that you would expect from blender bars and restaurants. 4 preprogrammed “one touch”cycles starting with smoothies, 60 second, 90 second, and a cleaning feature which allows you to walk away and do other tasks. Blendtec’s Professional 800 – A special mention should be made of the Professional Series 800 Blender, which has the most up-to-date blending engineering – for those who simply don’t want to compromise on anything! Although the Blendtec Pro 800 is a fully commercial grade machine, serious home users may also be interested. It features the latest technology from the company, with one stand out feature being the extremely quiet operation while still working at a full 3.8 Peak – HP Motor of shear power. The Professional Series 800 also has a whole host of other advanced features that you’d expect from a machine at this price. These include: 6 pre-programmed cycles, 11 speed touch slider with pulse function, illuminated touch controls, and a 10 year warranty. Six preprogrammed blending cycles giving you the capabilities to make homemade dough, fresh piping hot soups, super healthy green smoothies, whole fruit juice, frozen desserts, and mix drink feature for throwing together bar favorites such as strawberry daiquiris. Professional 750 – Designed to be built right into your counter-top of a new or remodeled kitchen, or can be used traditionally by setting it on top of the existing counter. If creating gourmet style meals, desserts, and drinks is a necessary need with your busy lifestyle then the Professional 750 will suite you well for this blender will save you a lot of time in your very own kitchen. The To m Dickson blender is promoted as a home use blender that gives you the full power of a commercial model. 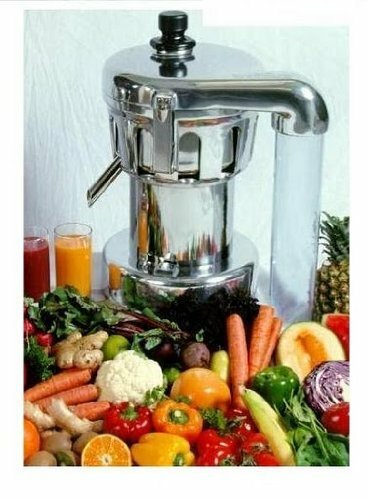 It’s a big machine with a lot of power, and suited only to those who are serious about their blending and know that they are going to use it to its maximum capabilities, including being able to blend up nuts, frozen fruit and other items that lesser products will usually struggle with. This blender can also be built right into your counter-top if you want to make it a more permanent part of the kitchen. There is a reason this blender is called the Tom Dickson Extreme Blender. Do you want to take your culinary skills to the next level? If so, then look no further! Many professional chefs find it fascinating with how much this blender can do. 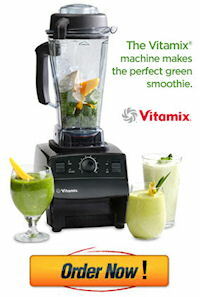 You can own the same blender that many commercial businesses use at their smoothie shops and restaurants. 2400 watt motor – will devour anything you put inside the jar of this super powerful blender. Keep in mind you need a 20 amp receptacle to run this unit. Enjoy all of the primary features you get from the Blendtec Designer Series at a much affordable price with their Certified Refurbished blender. Who doesn’t want the best deal? You can save an extra $70.00 off a new Designer Series by purchasing a Refurbished blender. Are you looking to save even more cash? Now with the Refurbished Classic model you can save instantly $120.00 off by purchasing Blendtec’s Refurbished unit. With a full 7 year warranty you can feel confident for many years. You can’t beat this deal. In fact you won’t find a better price online! Recently the company introduced an 8 year warranty policy on their new models. This applies to all their home use blenders and covers the jar and blender motor base. (However, note that the Tom Dickson comes with a ten year warranty). The refurbished models come with a 7 year warranty. If you decide to purchase some extra Jars with your order these come with a 3 year warranty. It certainly gives considerable peace of mind when you know that your blender is covered for faults for up to eight years on a new model and seven years on the refurbished units! The model of blender that you choose will depend upon your budget, how often you believe you will use it, the capabilities you require and what you wish to use it for, as well as your general preferences regarding aesthetics, size, and usability. Taking a look at each blender model in greater detail will allow you to get a better feel for what kind of user each one might be suited to, and which particular one may best suit your own individual needs and budget. So what are people saying about their experience with the blender they purchased from Blendtec? One look at Consumer Reports.org reveals that that vast majority of reviewers left a five star rating, along with comments like “Use EVERYDAY for green smoothies. Heavy load, no tamping. Very easy to clean.”. And when it comes to the cost, one reviewer summed it up as, “I looked at it as long term investment in my health”. What are you waiting for? 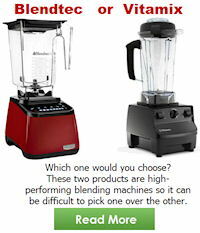 Get the best deal today on every blender model by clicking on the Buy Now Button below.